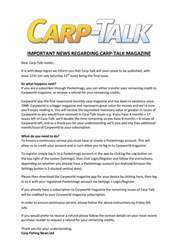 This week’s issue of Carp-Talk (issue 1089) is available to download now. 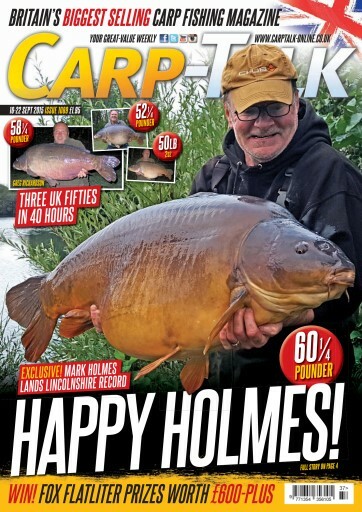 We lead with the story of Mark Holmes’ Lincolnshire record of 60¼lb, which sees him become the first angler to report the captures of two different UK sixties. We’ve also got the story of Greg Richardson’s three fifties in a single session from Wellington Country Park. Not only that, we’ve got a fifty from Bluebell and loads forties from all over the country. 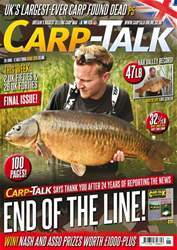 Julian Cundiff explains how to keep the carp-fishing fire burning brightly, and Dave Finn talks wrapping up. Jay ‘Mungo’ Cater reports on a red-letter session in France, and Ian Russell reflects on a memorable session he had on a very special French lake. 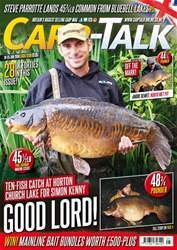 Products from DNA Baits, Nash, Sonik, Rod Hutchinson, Carp Couture and Trakker go under the spotlight. We’ve also got £600-plus worth of Fox products to give away, and the CC Moore and Sticky monthly winners are announced.